Vasse Virgin hand blends a variety of natural skin care products using the finest extra virgin olive oil. Visitors can overlook the unique working factory and watch the soap makers use traditional techniques. The factory incorporates our stylish Vasse Virgin tasting room where visitors can tantalise their tastebuds with our wonderful range of gourmet food delights. We also have ample close parking and disabled access. 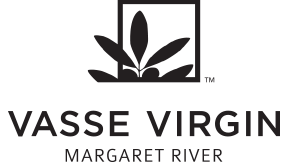 Vasse Virgin is in Margaret River too! Visit us on Rosa Brook Road open 9.30am-4.30pm daily. Open daily from 10.00am to 5.00pm. Closed Christmas and Boxing Day. Open 7 days a week from 9.30am to 4.30pm. Closed Christmas Day, Boxing Day and Good Friday.